DF37BAFC-9A74-4556-B95E-0ADF3769ED54_1553706431723.jpg I have an oil leak, I just can’t stand anymore. It was doing a fantastic job of auto-oiling my chain, but making a horrible mess. 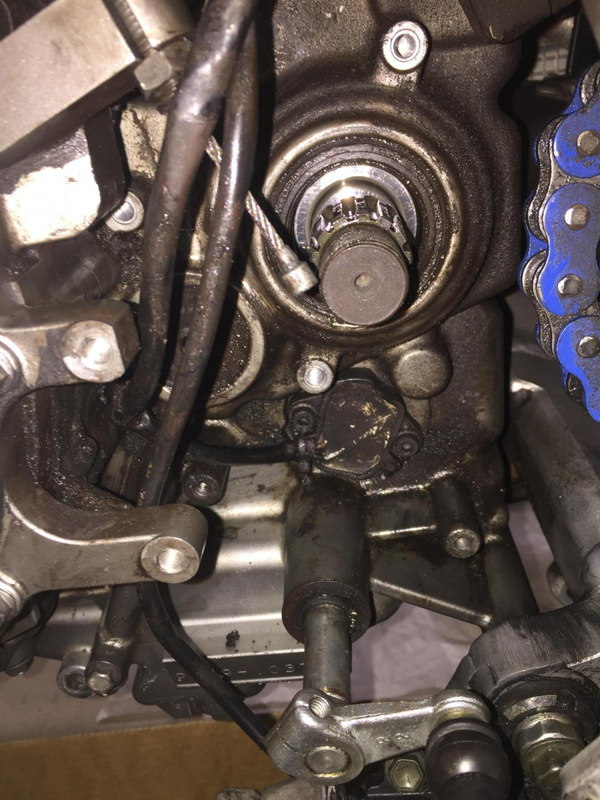 Took me a bit to track it down, but it appears to be coming from the countershaft seal behind the front sprocket. I’ve replaced a few of these on KTM 2-strokes, and my DRZ, but wanted to consult the Strom masses before I order replacements. ‘04 650. Should I try just replacing this o-ring? 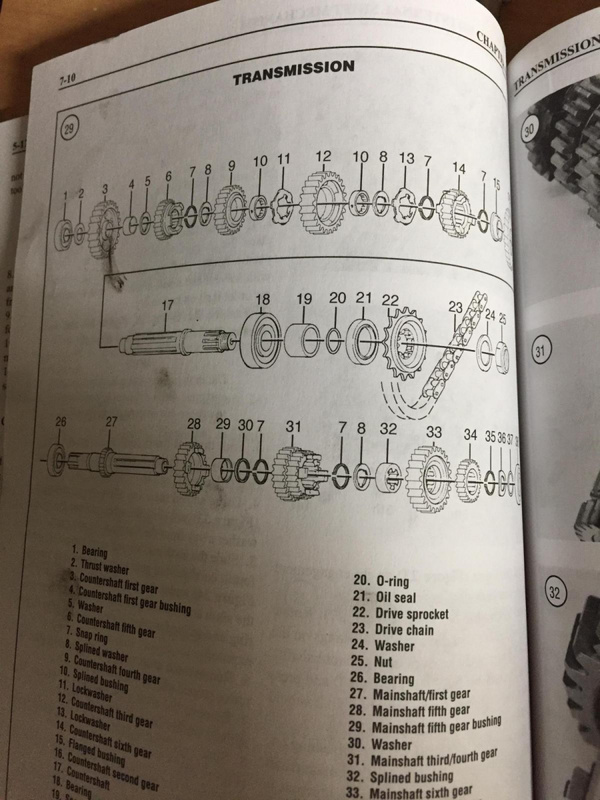 Number 20 in the diagram? Or the oil seal as well number 21? When I’ve removed the seal on other bikes, I used the drill and sheet metal screw method. Anyone have experience removing this seal? I posted on the other forum. I wouldn't consider NOT replacing O-ring and seal. 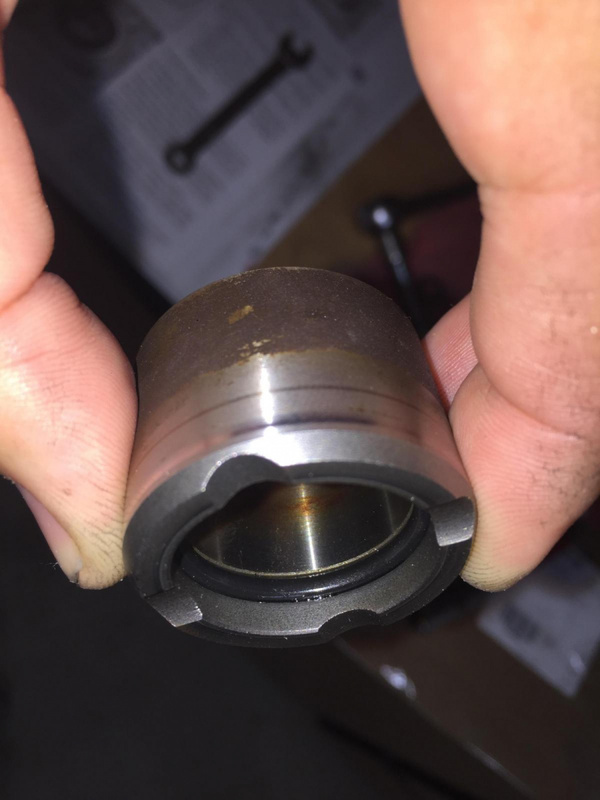 That piece in your hand... Be sure there's no groove worn into it where the seal rides. If so, replace it. Yes! Found that one yesterday. Good stuff.